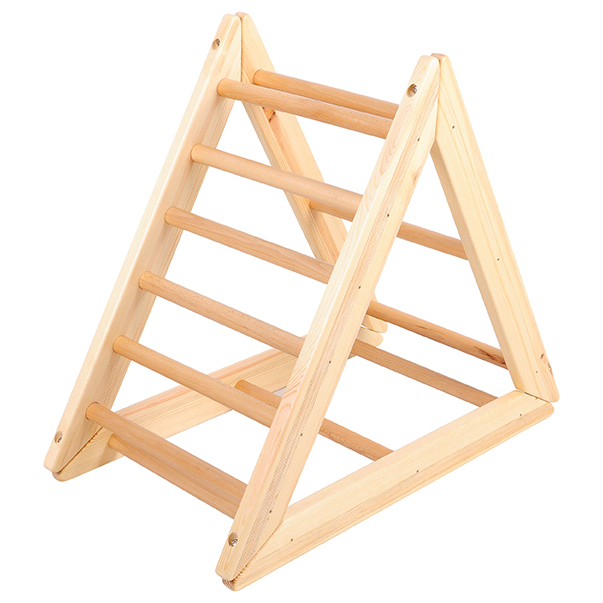 To complement our Gym stand and accessories we have a range of ladders which vary in degrees of difficulty. The small ladder (126519/E) has 7 rungs and gentle gradient, whilst the larger ladder has 9 rungs and a steeper gradient. The triangle ladder (126521/E) has 12 rungs in total (3 each on one side and 6 rungs on the other side). Made from solid plywood and flat pack for easy assembly.